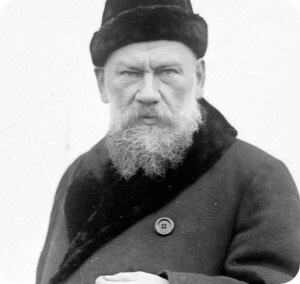 The “Anna Karenina principle,” named for the opening lines of Leo Tolstoy’s novel of the same name, states that, in some cases, there’s only one way to success, though limitless ways to fail. That’s seems to be the case with avoiding picky eating in children. Jared Diamond in his book Guns, Germs and Steel applies Tolstoy’s principle, “the Anna Karenina principle,” as he calls it, to domesticating wild animals. To succeed in taming a wild beast, every one of a certain set of requirements must be met. If even one requirement is unmet, the animal remains untamed, and somebody, human or animal, will likely end up dead. Success is possible, but only in the case of all necessary conditions being met. Thus far, this principle also appears to apply perfectly to families as regards eating. Like wild animals, kids are unpredictable. They aren’t passive receptacles that we can simply fill. They have wills of their own. So much can and does go wrong. It’s not generally just luck, though. You can’t just do any old thing and hope for good results. The true nature of children in general can be understood and dealt with successfully with understanding, though. There is a right way, a way that works. If this principle can truly by applied to the problem of picky eating, then if you’re one of those “unhappy” families struggling with a picky eater or two, it’s because of failure to meet a certain simple set of conditions. Can specific conditions can be observed in a family whose children eat well? And to become a “happy family” as regards eating, need you only meet each of these certain conditions? It sounds possible, and it is. But first, let’s define a “happy family”: For me, it’s a family eating meals together at the table, without anyone acting picky, with all eating generally healthy food. At the same time the children are learning some basic good manners, social skills and character at the table in a pleasant atmosphere. Do you agree with my definition? Or if you don’t mind a bit that your child forages and nibbles on snacks all day and never eats any actual meals, well, don’t worry about it. If you sincerely believe your child is optimally nourished and nurtured right now with your system that is radically different from mine, if you consider yourself a happy family, read no further. Or, does my definition of a “happy family” sound too good to be true? Impossible to attain? Unachievable because we can’t do it? Or because we don’t know how? Feeding children is a lot like shepherding and pasturing a sheep. Children are like wild animals in some ways but also like sheep in their need for limits and structure. We must build a specific kind of pasture for the child as for a sheep. Within the right limits, the sheep, or the child, can have freedom to move around in safety and to eat in peace. One missing post in the fence and the sheep escapes. Then they run around in the woods and are in danger and unmanageable. The fence doesn’t have to be perfect, and neither does the family, but you do need to basically close up the big gaping, sheep-size holes in that fence. The fence has to be solid enough to keep the sheep where they belong most of the time. If sheep, and children, are kept within certain limits, they will naturally and happily eat. No pressure or forcing will be needed. In fact, pressure is what leads to problems. Try to force a sheep to eat and off it runs. Just like a kid. All “happy families” follow the same basic system. It’s not that a family is born naturally happy or lucky and therefore are able to follow the system, or that they don’t need to follow the system. They follow it and that’s how they reach happiness. It’s a system that works. It’s THE one right system. No luck, or mystery here. These fence posts work together naturally and logically to create the situation where children eat better and behave better, because it’s the one right system. One missing fence post and the system can fail. There aren’t a bunch of varied ways to succeed in raising a child who eats healthy. There’s really only one basic way. By visiting a family at home for dinner that I can see what one or several of a million different possible errors is keeping the family from meeting the necessary conditions. 1. The children are not problem feeders. If a child isn’t eating, there’s a reason, and it’s essential to discover why. All kinds of medical conditions or developmental or physical problems can require a specialist’s care and/or therapy. Any such genuine problems can and must be identified and dealt with, or ruled out. 2. 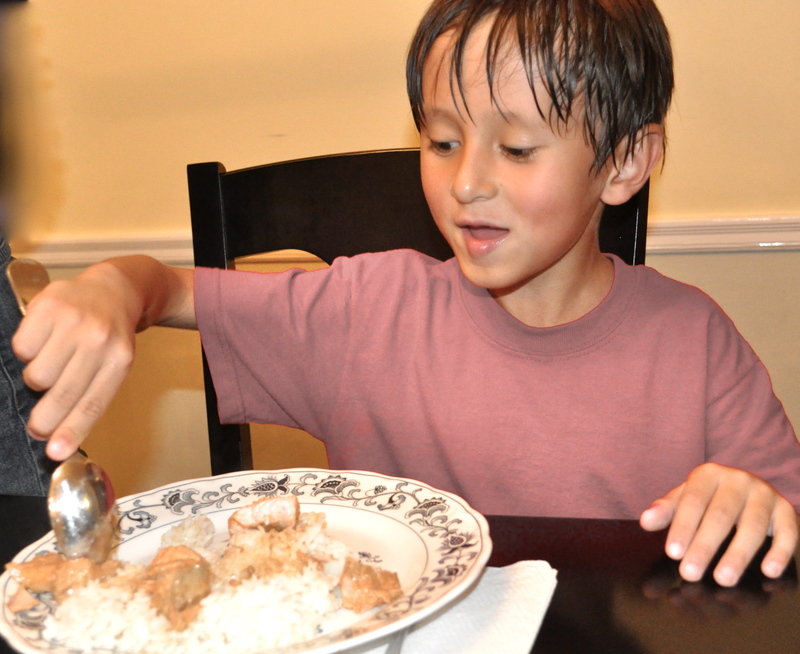 A family without picky eaters doesn’t talk about the child’s eating. Do the parents not talk about it because the child isn’t picky? No, the child isn’t picky because the parents don’t talk about it. They haven’t gotten pulled into talking about what or how much the child puts in her own mouth. They discuss only more interesting and polite subjects at the table. 3. A happy family follows a fairly consistent structure for meals and snacks, with no random snacking in between. At least until good habits are established. I confess that my young-adult children do sometimes snack and nibble between meals. They didn’t get to when they were small, though. I do too sometimes, even often. It’d probably be better if we didn’t, but nevertheless, we eat mostly healthy food for snacks and for meals. We aren’t overweight. We’re healthy. We established the right habits early on and through them learned to love loads of different healthy foods. We aren’t picky. It isn’t that a child naturally follows a good meal routine that allows a family to be a “happy family.” Rather, the parents require the child to follow this structure, and therefore the child avoids becoming picky and the family achieves its happiness. 4. A happy family consistently serves a wide variety of healthy foods, calmly and unapologetically. Healthy food is eaten for enjoyment, not out of a sense of duty. The parents don’t panic when a child doesn’t eat much or rejects something. They don’t compromise and bring in junk foods or become short order cooks or stop serving dishes kids have rejected to insure that nobody feels hungry. It’s not that their kids are naturally superior and wouldn’t eat junk or only certain favorites if they were offered. It’s that junk food or old favorites aren’t offered to validate fussiness or distract them from good food, so the children learn to appreciate what is offered. 5. A happy family doesn’t allow the children to whine, complain, insult the cook, or continue in other anti-social behavior at the table. 6. Nobody has to eat anything, ever. Again, it’s not that the children never refuse to eat anything that allows the parents the leisure of not having to force them to eat. It’s that the parents never force them to eat, so they don’t become resistant. It’s not that the kids naturally, automatically like everything. They may not eat everything that’s served. It’s just that their parents are OK with it and don’t coddle them about it. If the child dislikes the food more than he is hungry, that’s OK. She can generally eat around the foods she really dislikes. But for normal children, generally most of those dislikes are nudged out by time and by the parent’s healthy and natural approach to food.